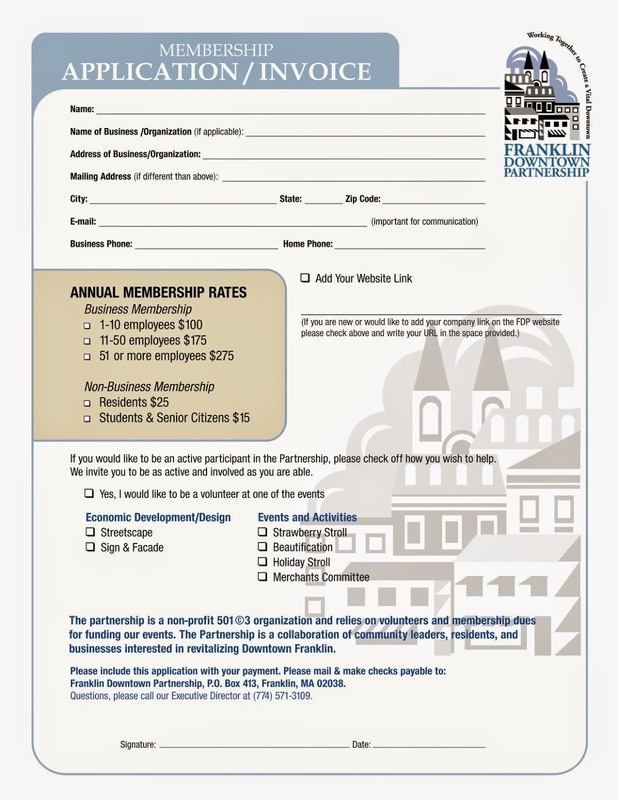 Spring is a time of renewal, and it's the perfect time to join the Franklin Downtown Partnership or renew your membership. 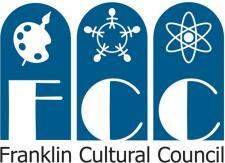 Please join us and help to grow downtown Franklin into a stronger, vibrant community center. P.O. Box 413, Franklin, MA 02038. Your membership dues support events including the Strawberry Stroll on June 11th, Beautification Day on May 16, Holiday Decorating on November 22, and the Holiday Stroll on December 3. These events, along with projects like new greenspace, public sculptures, and downtown signs are all part of our revitalization efforts. Please note, the Harvest Festival will be postponed for one year due to the planned Streetscape construction project that is scheduled to begin this spring. Current FDP members will receive invoices via email for 2015 membership renewal.